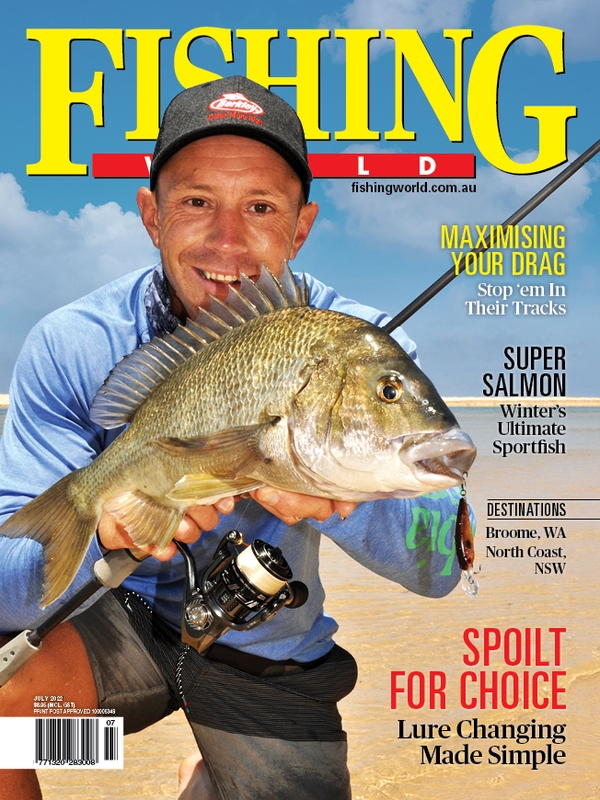 THE Atomic Hardz is one of the most popular lure brands in Australia. They produce an array of hard bodied lures for all situations. The Atomic Slappa has just arrived and has quickly proven itself on Murray cod up to 70 cm and larger bass. The Atomic Slappa is a surface crawler designed to make maximum disturbance on the water. It is 90 mm long and has large aluminium wings that fold against the body enabling anglers to deliver a long accurate casts time and time again. The wide body displaces water and provides the point upon which it waddles across the surface. The small cupped face also spits water as it moves across the surface. Cast them for bass and cod, wind slowly and hold on! The Slappa is available in 14 colours with both natural and brightly visible patterns available. There are also some glow colours for anglers casting at night too. Atomic ambassadors have apparently caught bass and small Murray cod up to 70 cm during testing. The Atomic Hardz Slappa has already proven itself of Murray cod.